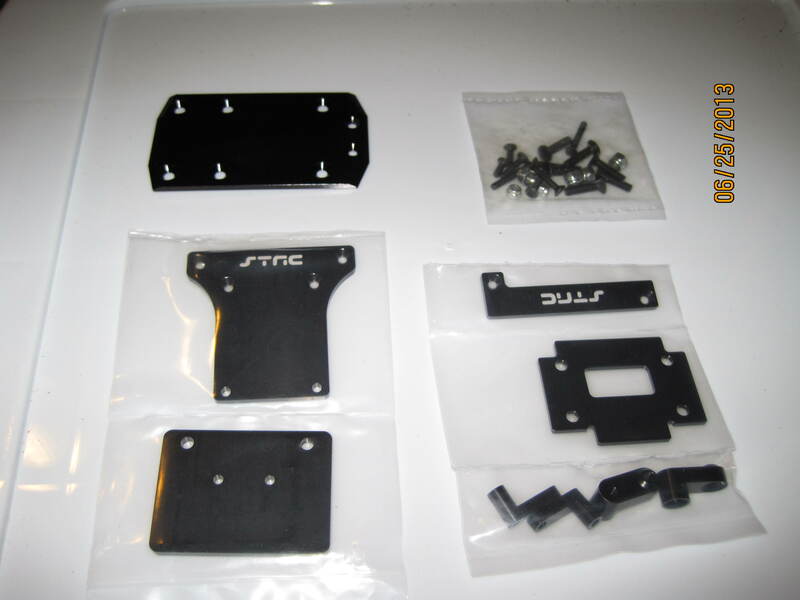 Posted in: Axial, Radio Control, STRC. 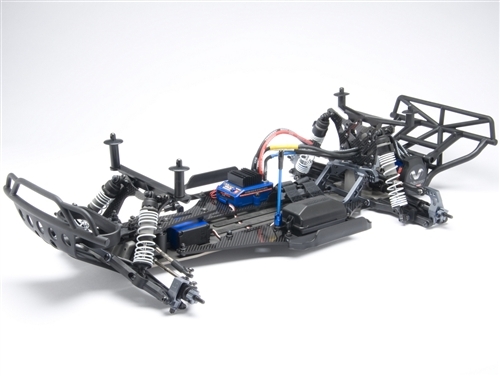 Tagged: New Releases, RC, Upgrades. 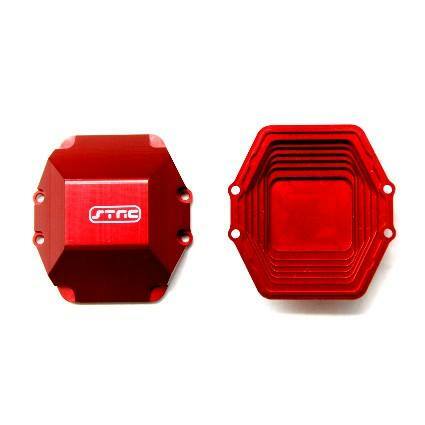 STRC has released a Red CNC Machined Aluminum Diff Cover for Axial Wraith. This slick looking Limited Edition part will come in a pack of 2. They are available now at a price of $35.99. 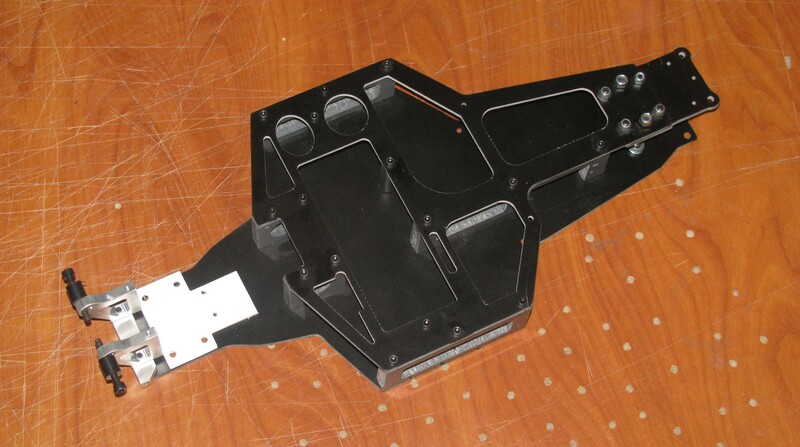 Use Part# STA80070DR2 to get more details. STRC really make some nice looking gear. Posted in: Radio Control, STRC. Tagged: Accessories, RC, Retailer Promotion, Upgrades. Dollar Hobbyz are offering 20% off their Overstock parts. There are hundreds of parts available. 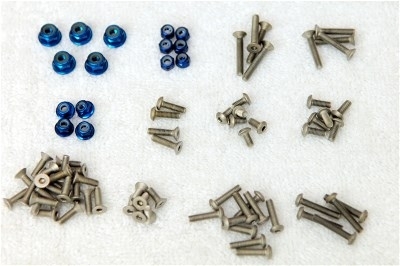 Check out the DollarHobbyz.com Overstock Items. Sale ends Sunday at midnight. and Just in case you have any money left. STRC is having a late New Year sale. 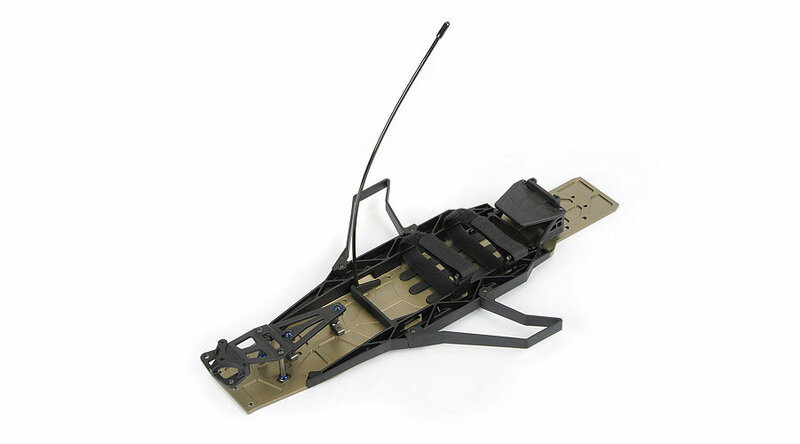 STRC have released a Axial SCX10 Short Wheelbase Chassis Conversion Kit. 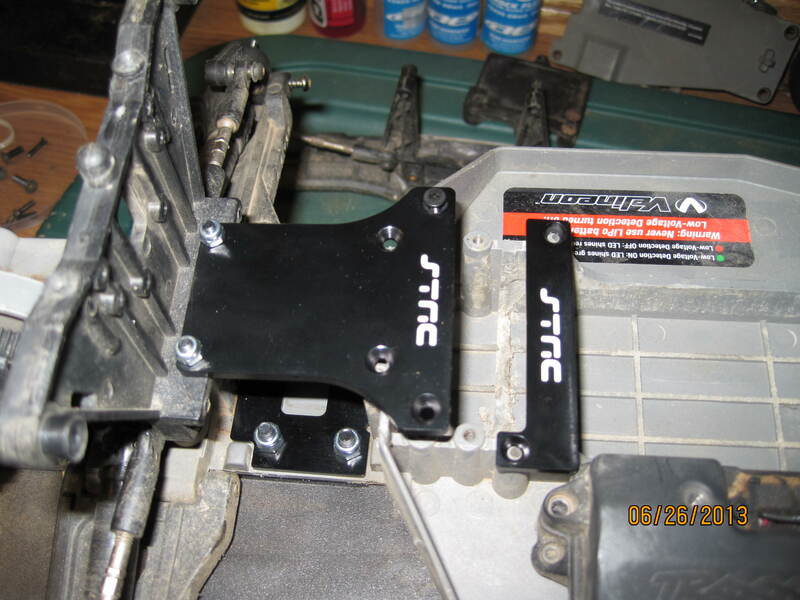 The Chassis Rails are solid 4mm CNC machined aluminum and lock in the center skid plate with a pair of 4mm CNC machined Aluminum side plates. 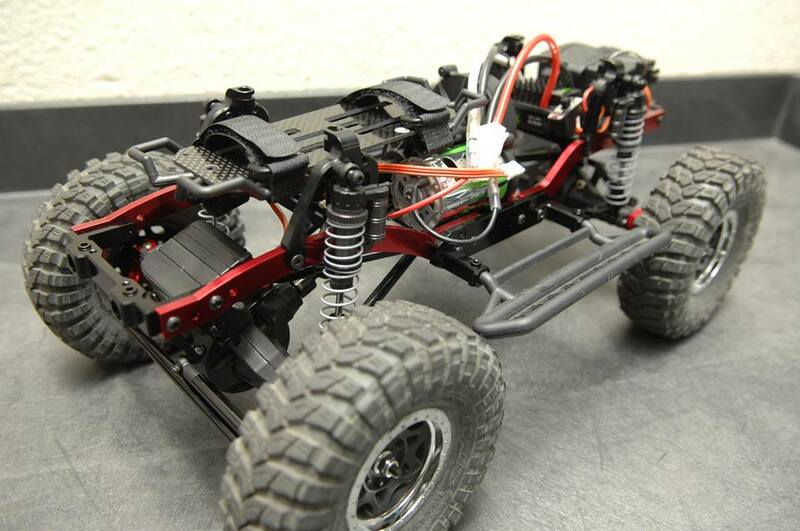 You will also receive a full set of aluminum suspension links which shorten the wheelbase to approx. 250mm. 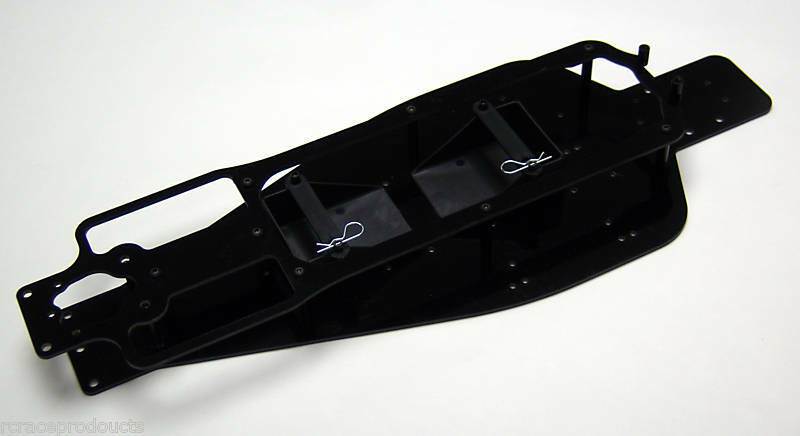 With the battery now up front over the front axles, STRC has included hardware and Aluminum accessories to redistribute the weight. 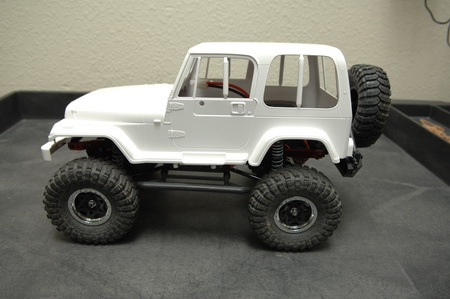 The new wheelbase will allow for the highly detailed and very popular Tamiya Bodies from the CC-01 platform (Mercedes Unimog, Ford Bronco, Jeep Wrangler, Toyota Land Cruiser, and the upcoming Toyota FJ Cruiser). 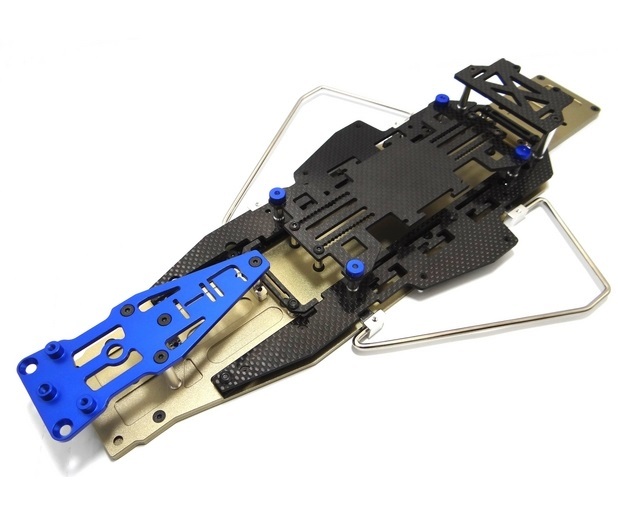 The SCX10 Conversion kit is available in 3 colours Black (Part# STA30502SBK), Gun Metal (Part# STA30502SGM) and Silver (Part# STA30502SS) and will have a MSRP of $69.99. 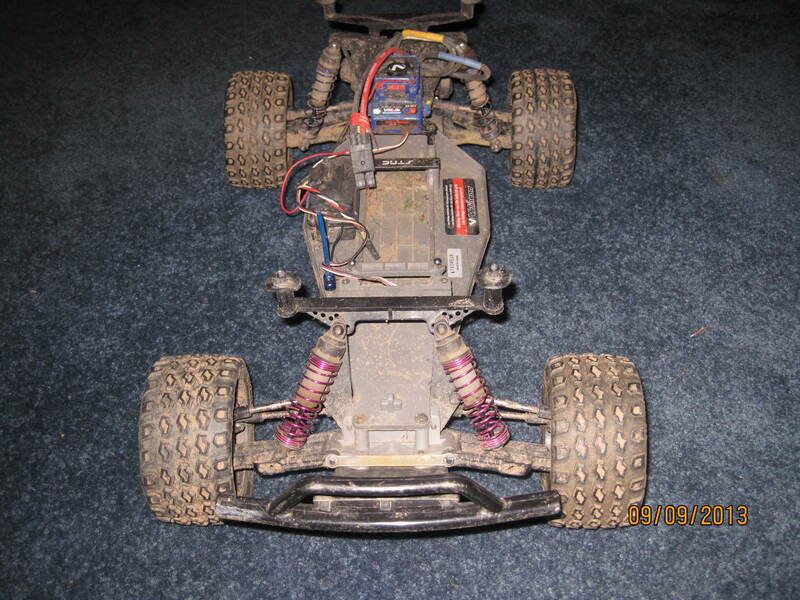 Posted in: Radio Control, STRC, Traxxas. 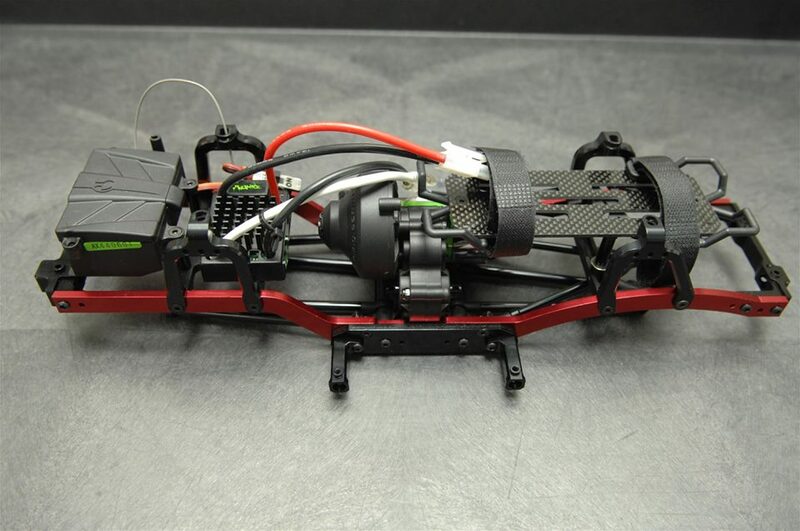 Tagged: Builds, LCG Chassis, RC, Upgrades. 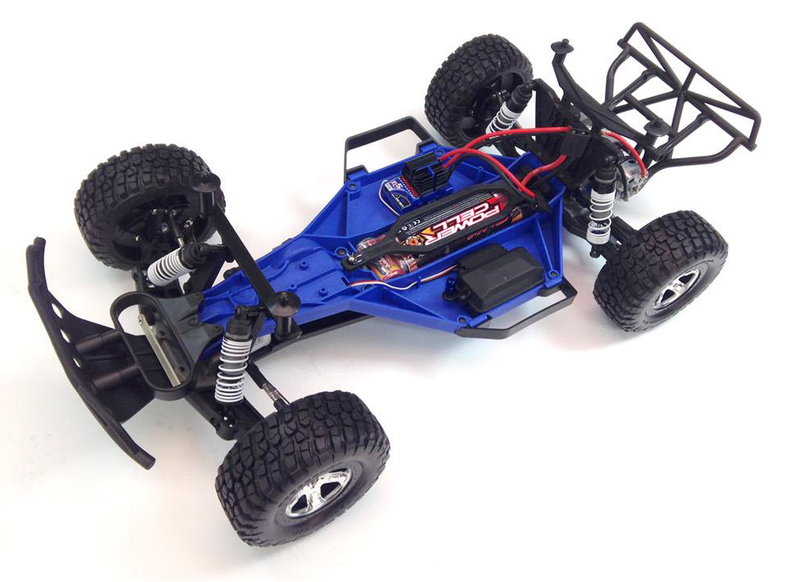 So I wanted to buy a LCG Slash, but since I already had a Traxxas Bandit I decided to convert it with the STRC LCG kit. It cost $46 and included shipping from OmniModels. The install looked pretty straight forward, but I did need to go online to find the instructions because there were two pieces I could not figure out where they went. Apparently there was a change in the design, but not noted anywhere in the instructions. I found the STRC instructions to be pretty vague and found that the RC Soup instructions had much better pictures with detailed steps. With a bit of confidence and 2mm, 2.5mm allen keys, this is quite easy to install. It took me about a hour to complete the upgrade. A couple of downsides to the kit, is that you now have to use 2 sided tape to hold an ESC in place, instead of screwing it to a mouting plate. 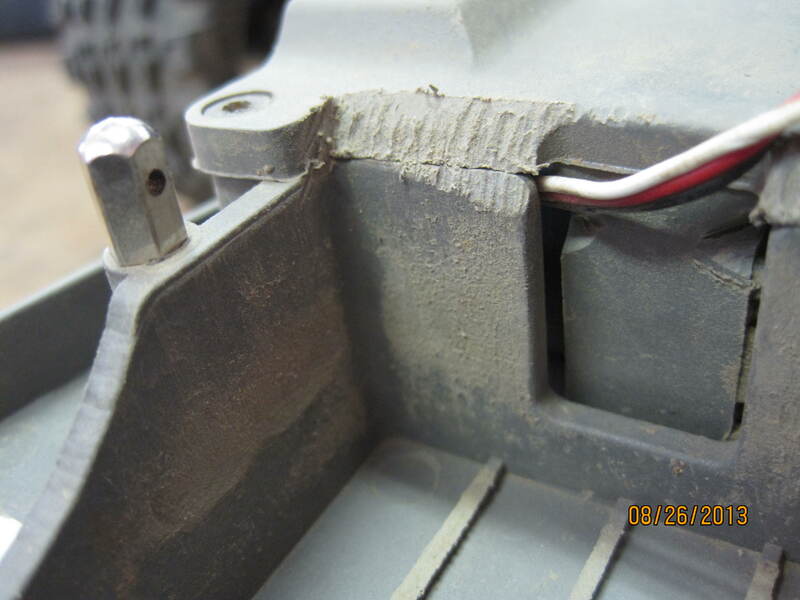 Also have to shave the plastic at the fornt of battery mount to allow a 7cell nimh battery or a 2s hard case lipo, due to instalation of the battery bar. As you can see the 7 cell battery barely fits and I actually tore the plastic covering attempting to install the battery. Once I shaved the lip, the batteries fit much better. Overall the kit added approx. 4cm to the overall length of the Bandit. 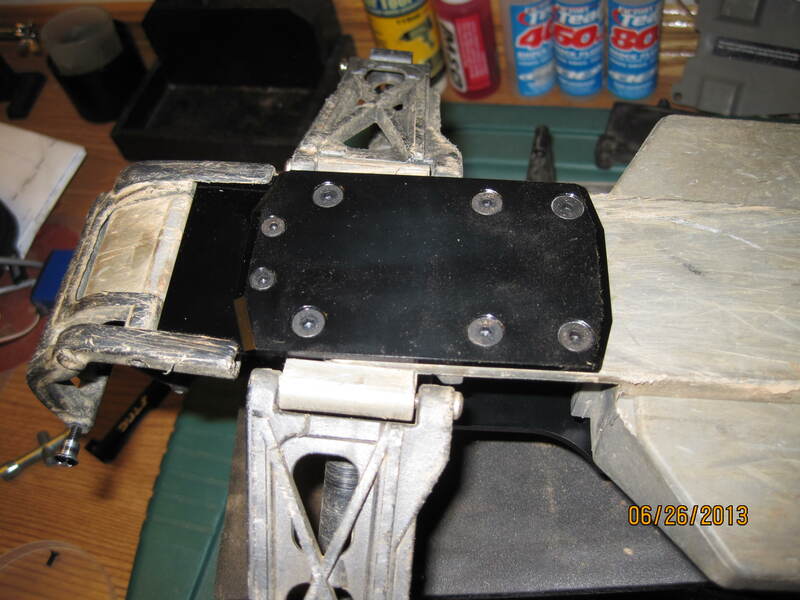 I also changed front and rear arms, camber links and tie rods to slash ones to complete the conversion. 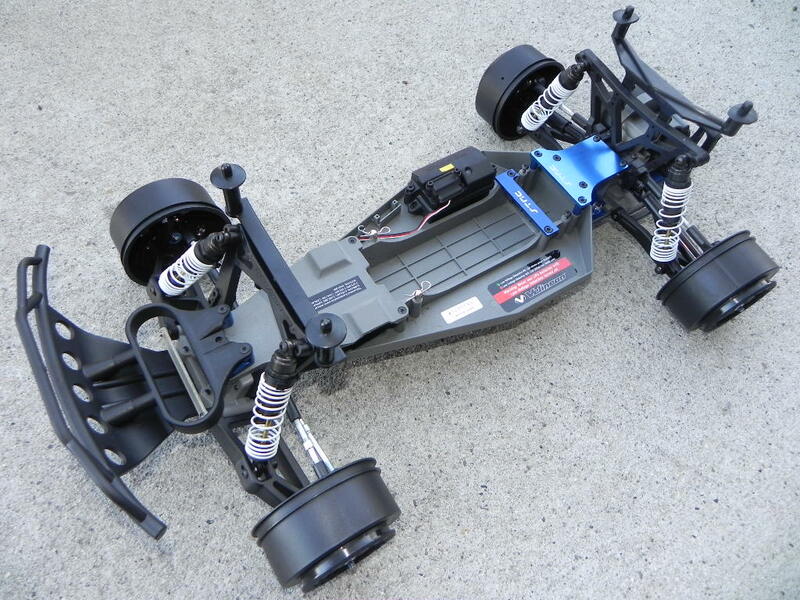 Once I finished installing the kit and my Venelion brushless system. I went to do some testing. 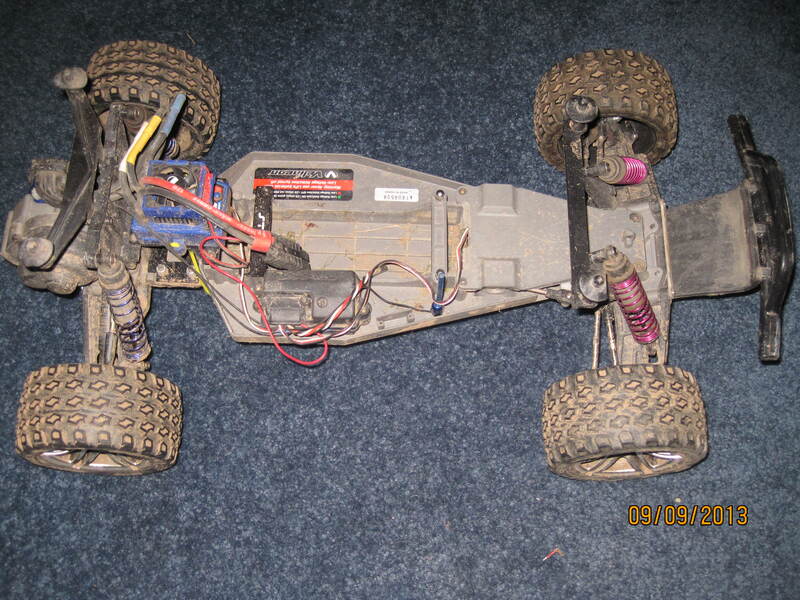 Overall without doing any real setup changes(still using original shocks/springs) this kit turned the Bandit into an actual vehicle that is now fun to drive and is fairly competative. If I could tell you what the guys I race with said about the Bandit…….. well needless to say, the Bandit is now retired. Anyway overall I am impressed with the kit, and for a low budget conversion I think it is very good. On a side note I e-mailed STRC with a couple issues with the kit, the not so great instructions and the two pieces I could not find, and I did not get a response. This I find this odd because other members have had good customer service, and had replies to their e-mails.